These unique drinks bottles feature a built in infusion stick, allowing you to enjoy a healthy and refreshing, fruit-infused drink of water. 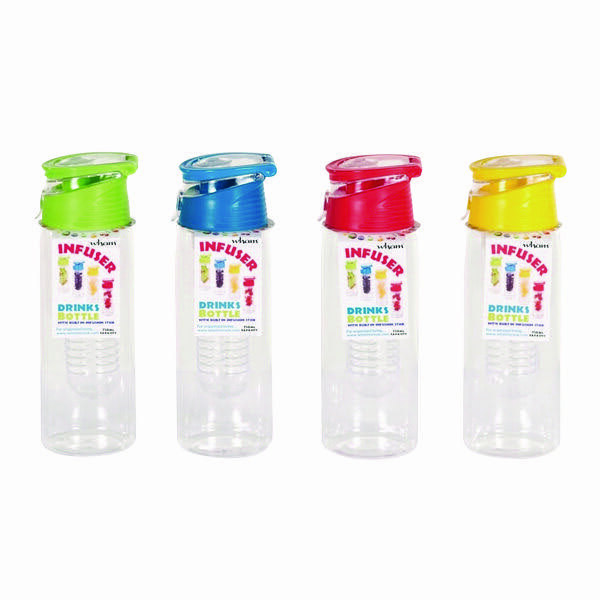 Each bottle has a 750ml capacity, flip top lid and carry handle for convenience. 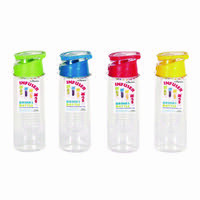 The bottles are made of durable plastic and are dishwasher safe. Ths pack of 12 assorted bottles provides you with a variety of fruit infusions to try. Each time you buy an inkjet cartridge we’ll mark your card! When it’s full you can buy your next cartridge for half price. You’ll get a stamp for each cartridge in a multi-pack and half price on one of those cartridges when you re-purchase.